Deciding on what to wear? Maybe you start outfit planning by choosing the top or dress first and then picking jewellery or do you base your outfit on what necklace you might like to wear? Different necklines suit different types of necklaces. By choosing the right necklace for the right neckline you’re ensure you’ll always look at your best! 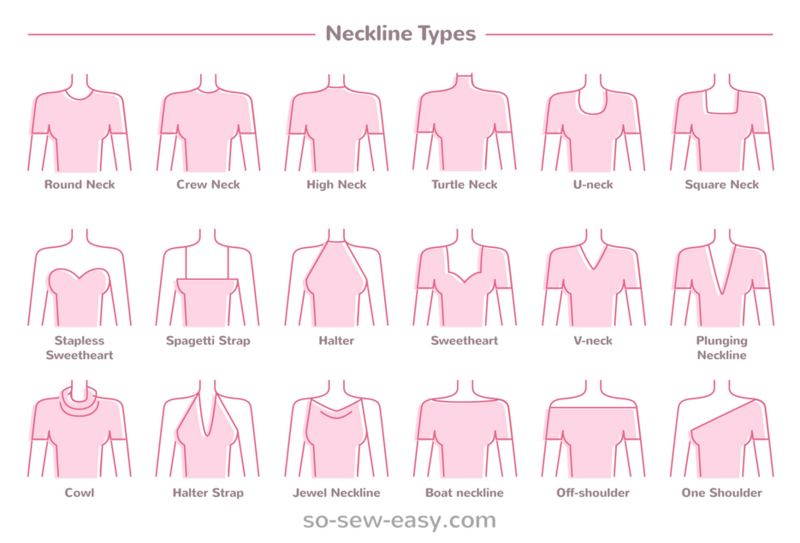 The many types of necklines. Do you have a favourite? A general rule for open necklines, is that you want the necklace to fill the open space and match the neckline of the top or the dress. For high necklines it’s all about balance, you want to choose a necklace that balances out the neckline of the garment. What about cowl necks? Pair long necklaces with many strands underneath the cowl to create an elegant and flattering look. Make sure you avoid the necklace hanging on top of the cowl though! Tips on what not to do: When wearing a boat neck you want to avoid necklaces that end right at the collar – you’re already drawing attention to your shoulders so you don’t want to do this even further. Do you tend to gravitate to a particular style of necklace? Let us know what type of necklace you like best in the comments below. Or check out our guide to gemstones and pearls.